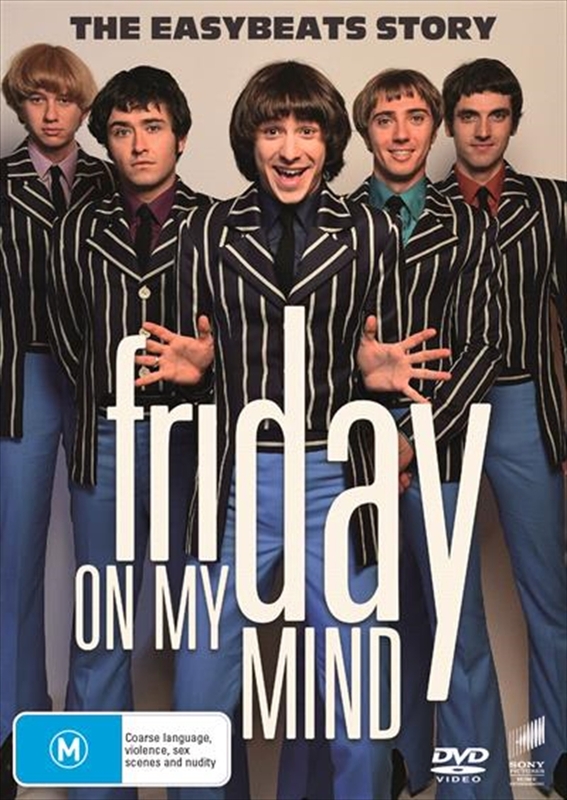 Friday On My Mind charts the rise of Aussie rock band, The Easybeats. "In 1964, when five young, newly-arrived immigrants met in a Sydney migrant hostel and formed a garage band, little did they know they would take Australian rock’n’roll to the world.This is the story of The Easybeats.More than just a classic rags-to-riches tale, it’s an incredible story of identity, re-invention and belonging. Interwoven with a killer soundtrack and filled with contemporary relevance, FRIDAY ON MY MIND is about five disparate immigrant boys joining forces with a talented young visionary to create groundbreaking music and Australia’s first truly international rock group."